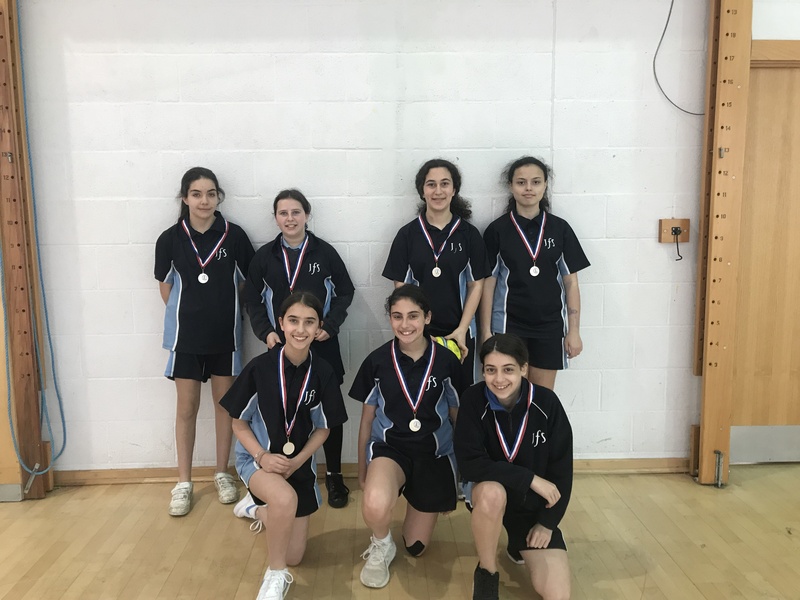 This week the Year 8 Girls Football team competed in the Semi-finals and Finals of Brent Girls Football at the Capital City Academy. The semi-final was against CJMLC School. The game was uneventful and the final score was 0-0. This led the game into three minutes of extra time with, once again, no goals scored and the game went to penalties. We took eight penalties and three hit the back of the net (Emily Weitzman – 2 and Jasmine Freeman – 1). Jasmine Freeman also saved six out of the eight shots taken by the other team, putting us through to the Final! The Final was against Capital City. In the first half JFS scored two goals (both by Jess Stevens) but so did Capital City. In the second half Capital City scored another goal in the first two minutes. About four minutes in Ellia Neiss was injured during a challenge with the opposing team. After Ellia was taken off the pitch, there were three minutes of the game left and Capital City scored another goal. The final score was 4 – 2 to Capital. All the girls played really well and gave it their all. The JFS Year 8 Girls are now considered the second best football team (in their age group) in Brent!